When discussing the situation in Palestine, many people less familiar with the context may not fully comprehend the impact of the separation of the West Bank into three separate Areas, following the Oslo Accords. Only Area A, including Ramallah, Nablus, Jericho and and most of the built up Palestinian cities, is under full control by the Palestinian Authority; Area B is under Palestinian civil control and joint Israeli-Palestinian security control, including towns such as Abu Dis and Beit Ommar; and Area C (the vast majority of the West Bank, including most of the Jordan Valley) is populated predominantly by settlers and is under full Israeli control. 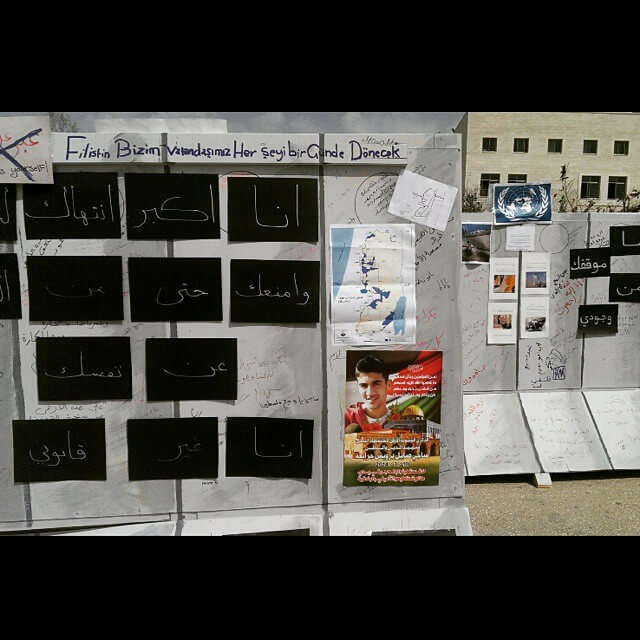 People living in Area A have suffered greatly because of the occupation. During the First and Second Intifada, Palestinians had to live through curfews that were only announced an hour before and could last for days. Many institutions were closed indefinitely, including schools, forcing many to be confined to their homes. With no access to education children would count days till they could go back and learn. 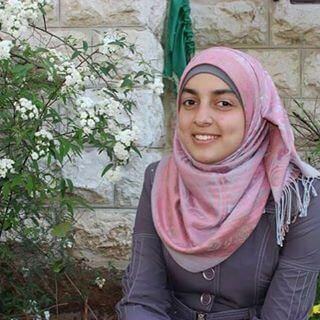 The living conditions in Ramallah become intolerable and isolated. West Bank Palestinians were prohibited from visiting Jerusalem except for Fridays during Ramadan and Laylatul Qadr, or if they had obtained a special permit. 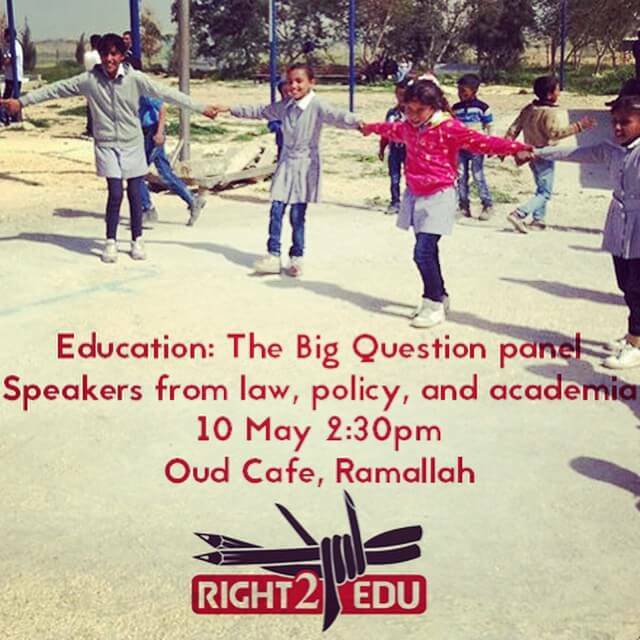 The current situation in Ramallah has improved superficially in recent years, although the occupation has of course restricted children from the city from attending schools in Jerusalem by confining them behind the Apartheid Wall. Many people in Ramallah carry on with their day to day tasks without any problem. Children attend the state schools paying 50NIS for registration and 15NIS for their English textbooks. Meanwhile, the Jordan Valley (Area C) is under complete Israeli Military control. 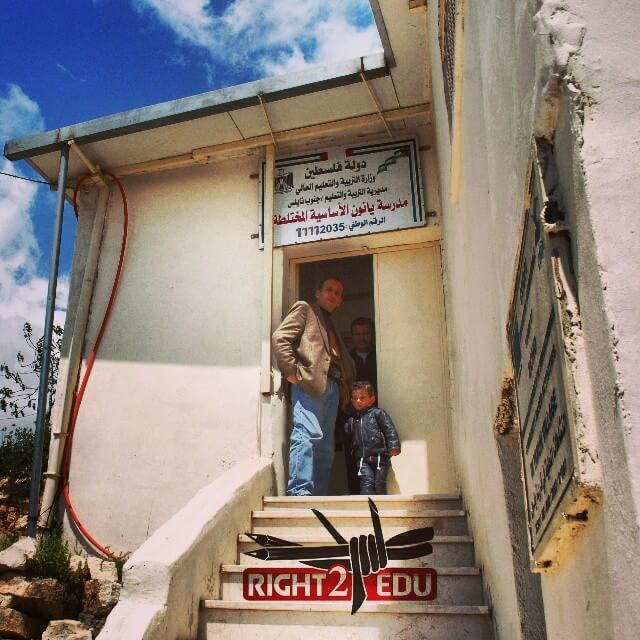 In itself this sets the scene for extreme violations of the right to education for Palestinians. 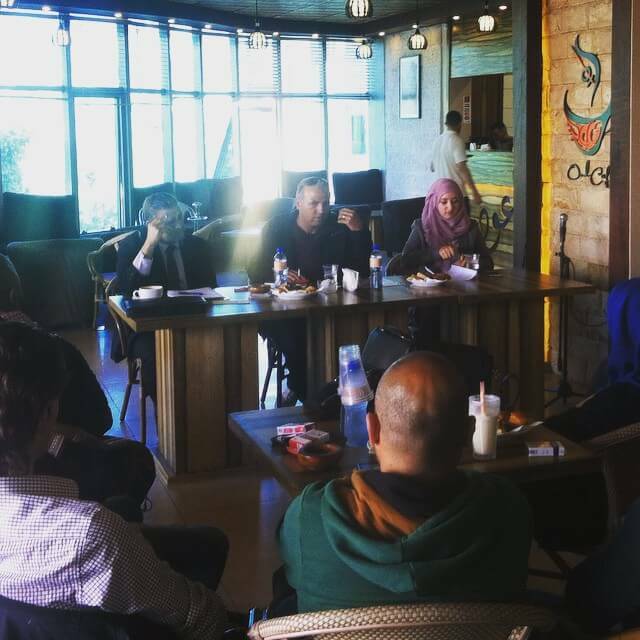 95% of the Jordan Valley is occupied by Israeli settlements, military bases and ‘nature reserves’. Palestinians are often refused permission to improve their buildings, including schools, or to install basic facilities like electricity, running water or toilets. 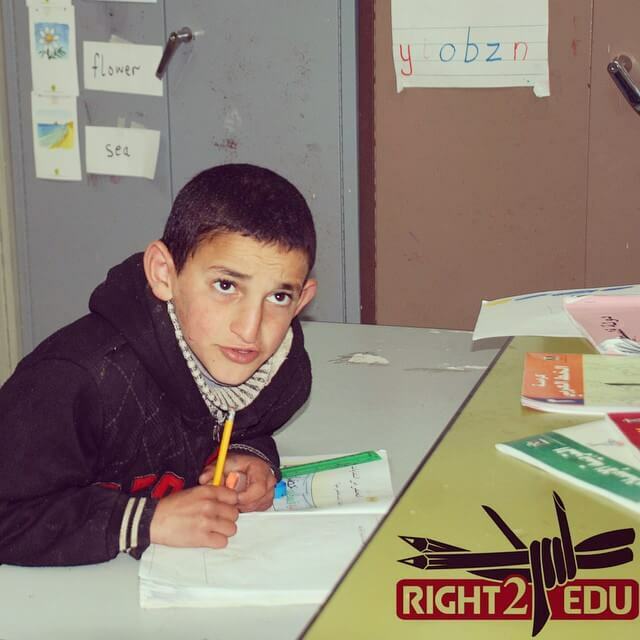 Although the right to education is a human necessity according to international law (Universal Declaration of Human Rights (UDHR) in 1948, Article 26), Palestinians in the Jordan Valley are being systematically denied their rights in a variety of ways. 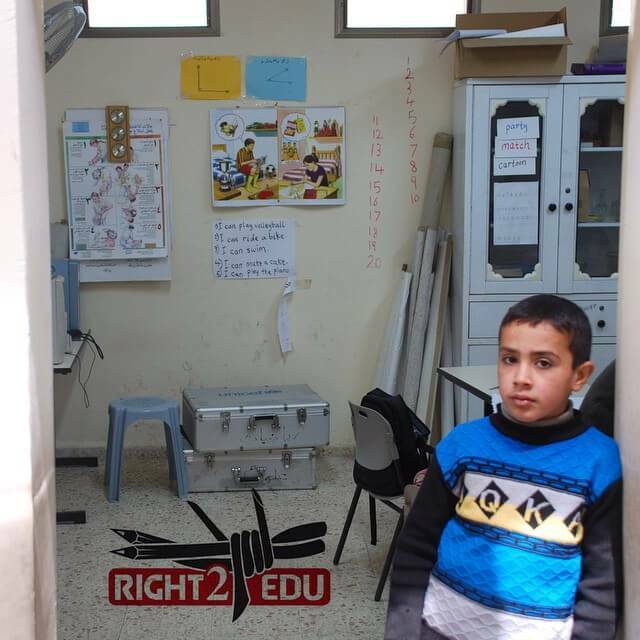 No proper schools operate in the Jordan Valley, and defunct school buildings are being demolished on a continuous basis. Children are confined to learning in makeshift locations or are forced to cross through a checkpoint to another city or town to attend school. 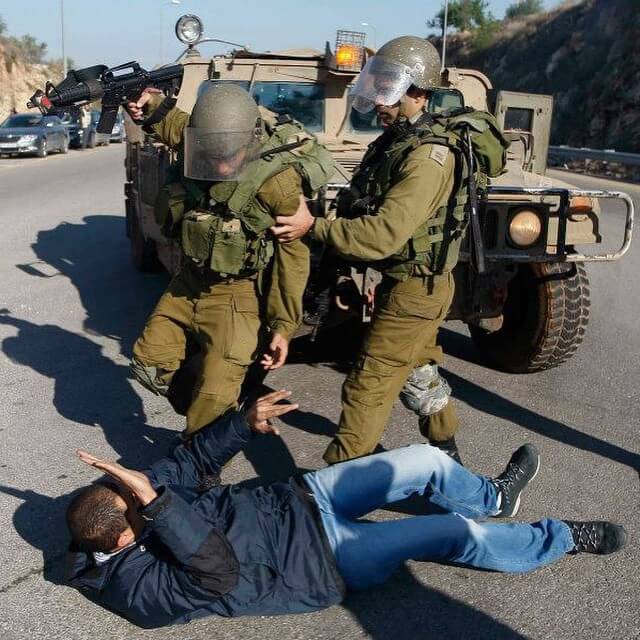 Throughout this process students are subjected to aggression and attacks from the Israeli Army and settlers. An example is Al-Maleh and Bedwen Area Village, in the Jordan Valley near Tubas. Arif Daraghmeh, the Mayor of the area, explained to me that recently the Education Minister of the Palestinian National Authority had begun to finance the bus service from the village to the schools. This was a welcome piece of news for families in the community. However freedom of movement is still restrained because of the checkpoint. On a daily basis children are informed to walk out of their school busses to be checked by the IDF soldiers. At the same time they are interrogated further by school bag and lunch box checks. This can take hours depending on the soldier that is present. Every soldier has a different method of ‘security checks’. 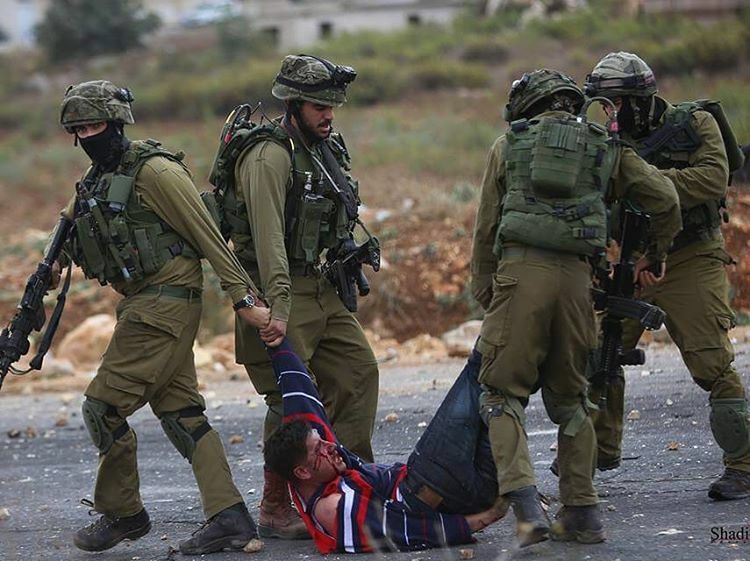 Unfortunately checkpoints are not the only systematic obstruction to Palestinian lives. On the journey from home to the bus stop, children are confronted by other settler children and are exposed to physical and verbal abuse. 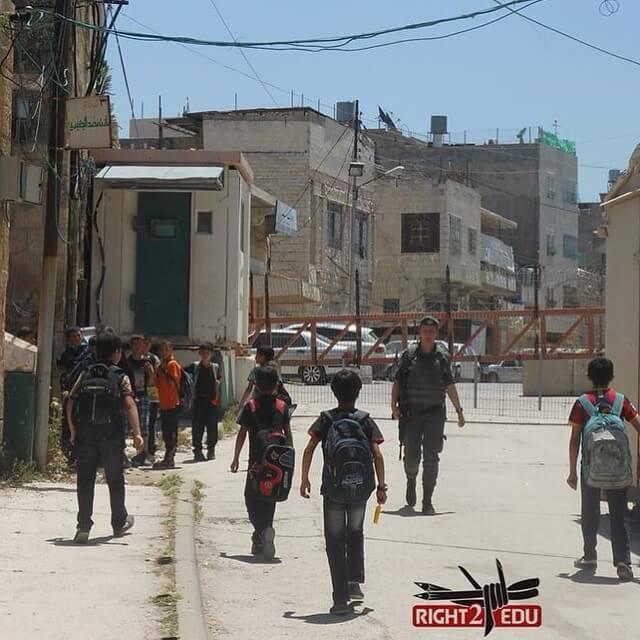 Daraghmeh stated that as children wait for the bus to arrive the settlers’ children sometimes pass by in buses and throw items at the children such as stale biscuits and rotten food. Innocent as to the consequences, the children are likely to consume it and have been known to fall ill as a result. Al-Maleh and Bedwen Area Village military curfews are often imposed forcing Palestinians to remain in their homes. It is even more frustrating that they are usually announced the night before. The curfew at the village allows the Israeli military to train and roam around on Palestinian land freely firing their guns and exploding stun grenades. Being confined to their homes means of course that children are kept from attending school. According to Daraghmeh, if a child is seen out of his tent he is brutally punished by the IDF solider and escorted to his father. Settlers create more problems by shooting animals in Palestinian farms. Many families in the Jordan Valley rely on their animals for income and support as most of the money goes towards the up keep of their homes and their children’s education, such as school registration (50NIS) and English text book (15NIS). 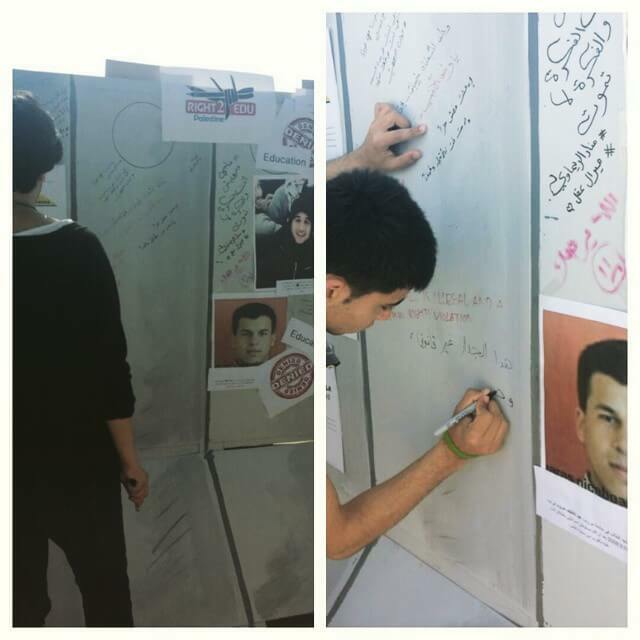 Daraghmeh stated, ‘No money, no school’. With no money to pay for school, some children are compelled to leave school at a younger age as many families depend on them for labour whether on their own farms on in Israel’s illegal settlements. 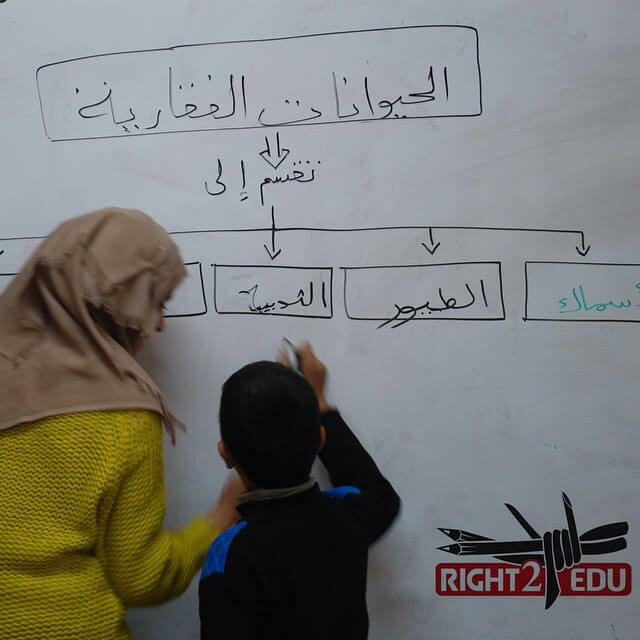 Preventing a child from attending school is a violation of their fundamental right to education. If Israel wants to be viewed as a democratic state it has to act in a democratic way. Through its occupation of Palestine it is evident that they have no tolerance for the Palestinian people. Ariel Sharon has been quoted as saying, ‘Palestinian education and propaganda are more dangerous to Israel than Palestinian weapons’. Therefore the weapon for freedom is education.